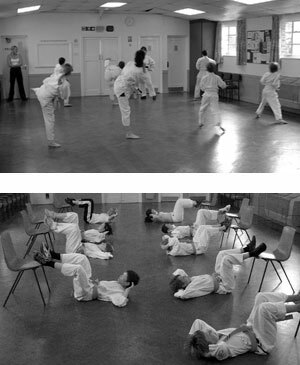 Genki-Jutsu, Leigh-on-Sea's Karate and Fitness School for children was started by Michelle Kemp and Ondie Woods. The idea was to teach children, including their own, in an environment where training comes before profit! Having noticed the lack of correct, safe, effective and progressive fitness knowledge in the local classes for both adults and children Genki-Jutsu was formed. Every sport has fitness training; from Rowing, Athletics, Gymnastics, Swimming to Motor Sport. This side of the Karate training was not being taught properly – some instructors even believing that fitness training isn’t vital to performance! 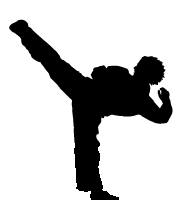 Safe and effective warm-ups and cool downs, the right stretching and flexibility techniques,balance,core strength,muscle strength , endurance and C.V.training that is safe effective and above all progressive will bring about huge changes to karate performance and skill and cannot be ignored. At the Genki-Jutsu school there is huge emphasis on correct technique. Everything in class is noticed. Children do not take part in any sparring until their spatial awareness, control and understanding is evident. The Schools admission age is six years old. At this age children are already at school and have an idea of how a class is run and what is expected of them and their concentration skills are more improved. Michelle and Ondie feel it is a complete waste of time and money starting before this age. As we both have children we really understand and care for our students. We know what makes them tick! Each child is treated as an individual and encouraged to work to their best ability. We know every child’s name and any medical condition they may have with appropriate safeguards put in place. There is an open door policy to parents, so they can see exactly what goes on in the class. Unlike some schools, the children only grade when the instructors feel they are ready – not as a profit making scheme. Classes are charged weekly rather than being asked to set-up a monthly direct debit payment and having to fork-out for missed classes. We do not need to do this as our students stay. The aim of the school is to make the student fit and strong to take the demands of Karate. To be technical, fast, disciplined and respectfully trained in a fun and comfortable environment. *Please note: All instructors have been CRB checked in order to work with children. Genki-Jutsu is a member of Shi Kon Martial Arts and MASA Martial Arts Standards Agency.